This Memorial will be found on the main sea front, sited on Marine Parade West, approximately half a mile west of the town centre. 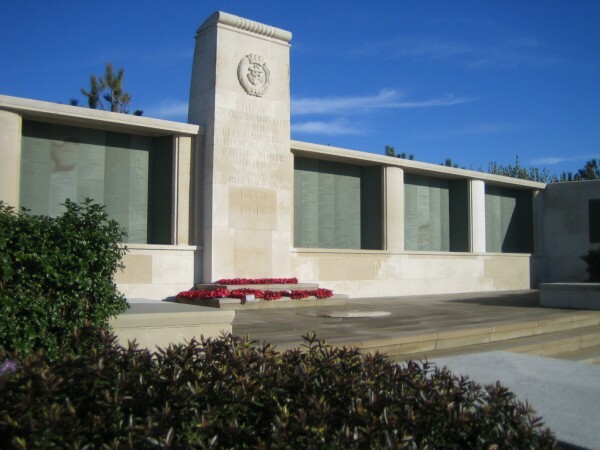 The principal base of the Fleet Air Arm, Lee-on-the-Solent, Hampshire, was chosen as the site for the memorial to almost 2,000 men of that service who died during the Second World War and who have no known grave. There are 88 names of servicemen lost with HMS Glorious at the Lee-on-Solent memorial.